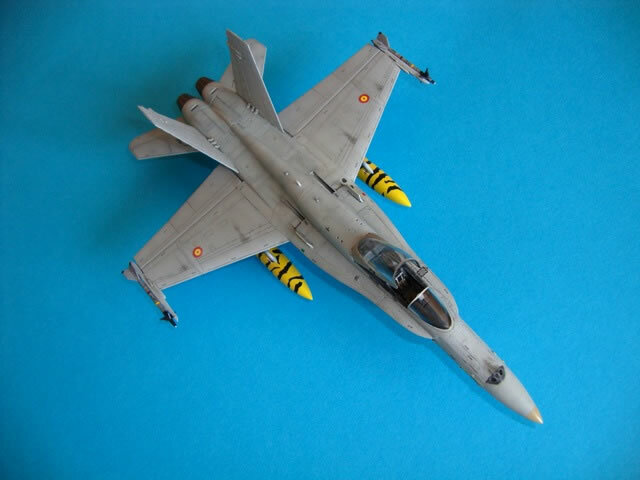 Here is my 1/72 scale Academy F/A-18A Hornet built straight from the box, nothing extra being added at all. 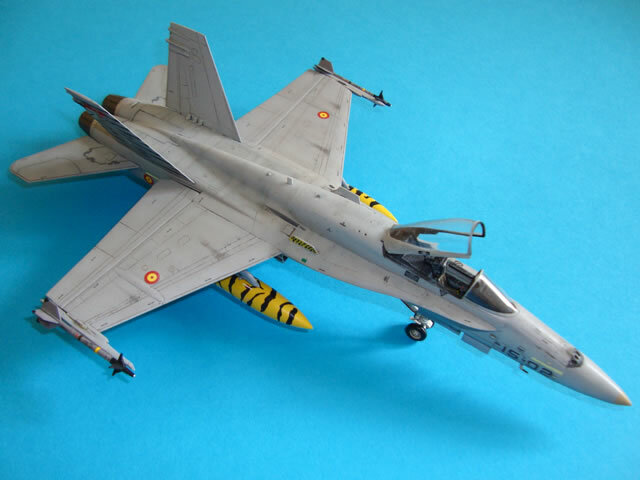 It was my first attempt to build a modern jet, so far only dozens of WWII fighters, all lovely and colorful, but you always reach a point where your body just asks you for something "new"... and Academy's Hornet in 1/72 was the perfect kit for that! 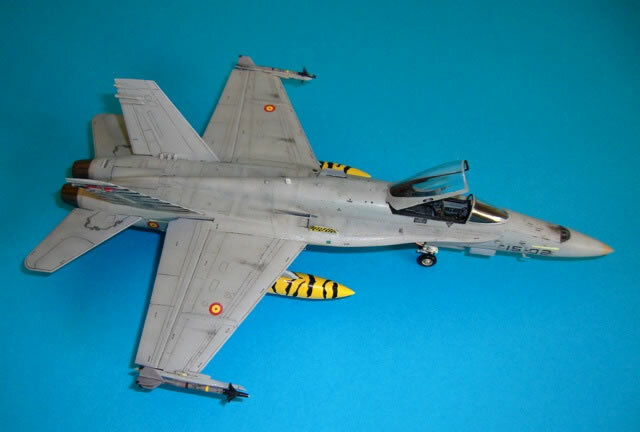 I always wanted to build a Spanish Hornet, never found a kit that includes both, a great model and great decals representing Hornets from the Ejercito del Aire. 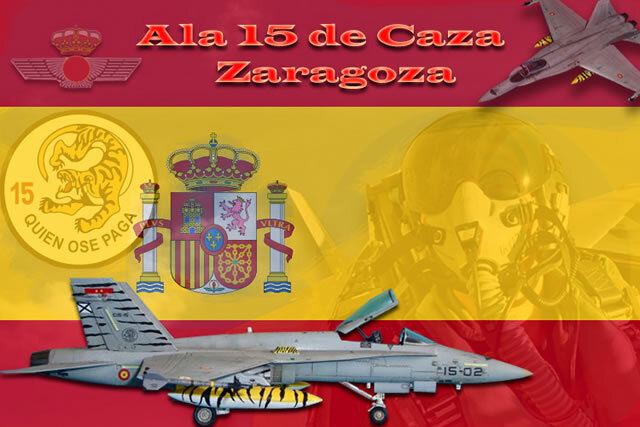 Academy's F/A-18A brings my two dreams into life and offers a great kit + stunning decals printed by Cartograf (including one option with superb markings for a Tiger Meet decorated F-18 of the Spanish Wing Fighter "Ala 15"!!) and everything at a reasonable price. The first thing that surprised me, was the large amount of parts (some of them really small) that can be found in the box. 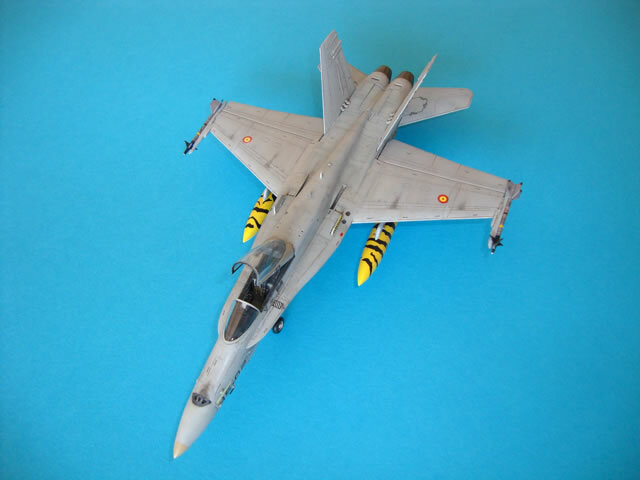 Coming from years and years of WWII stuff, where you spend more time painting than building, I was really impressed by the several parts that need to be used alone for the front fuselage. 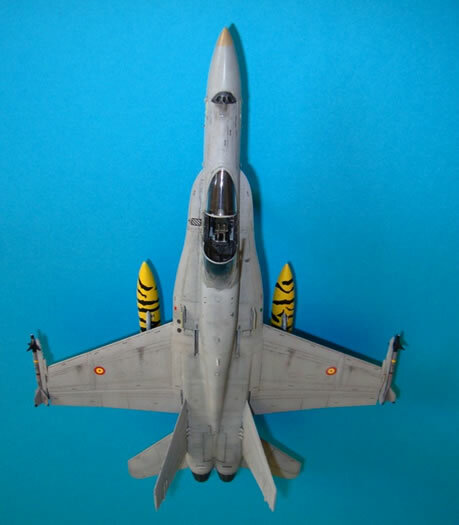 Any misalignment here will cause fit difficulties when joined with the normal fuselage, as the upper part joins following panel lines, so any errors will be easily seen. Apart from this, the kit is very straight forward to build. The overall fit is very good, with excellent line definition and detailing all around. 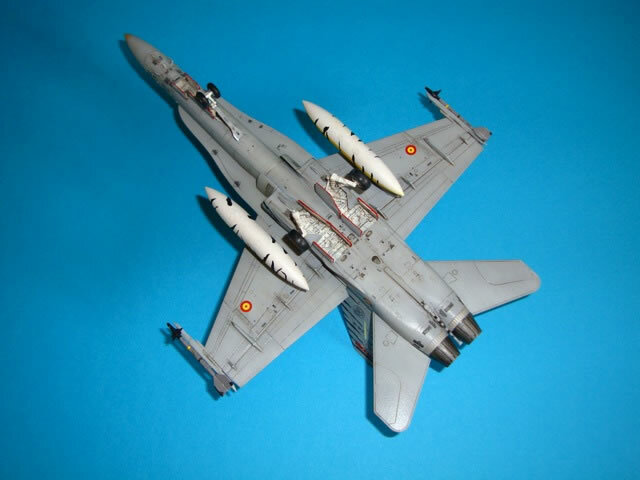 The aircraft was painted airbrushing with acrylics (Light Compass Ghost Grey FS36375 from Gunze and the same color from Polly Scale, both are different, being the one from Polly Scale slightly darker, so I use it for the upper surface). The weathering was achieved with enamels (a mixture of black and red brown, very thinned in Humbrol Thinner). A final coat of Humbrol Matt and the kit was ready. I can't wait to build the next one - well done Academy! 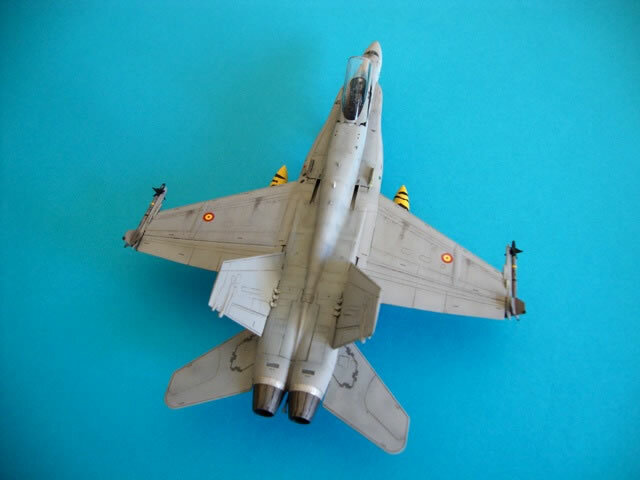 You can see more of my models on my website by following this link.